TEL AVIV, Israel—Once the stone heats up, Menachem Moullem does his first cut. “Attention!” he shouts while grabbing it with tiny tweezers. Menachem has been cutting stones for almost three decades. Cracks and stains must be removed; color, transparency, cut, and weight will decide the final value. “Once I am finished with it, only half of the original stone will remain,” he said. In front of Menachem’s workshop, several armed men are patrolling the staircase, the entrance, and corridors. Security officers are donned in grey, policemen in green. 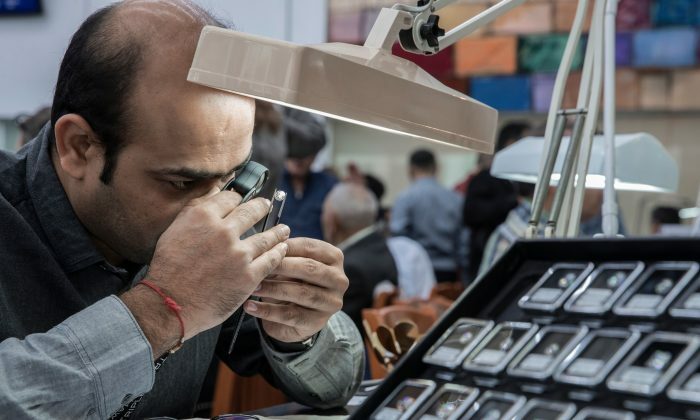 Founded in 1937, the Diamond Exchange of Tel Aviv used to be the largest gemstone stock market in the world and the heart of the Israeli economy. But in the last six years, exports have dropped by 25 percent, said Sharon Gefen, a public relations director with the exchange. “China and Russia are entering the market both as new customers and as new competitors, with the large majority of the stones now being polished in India,” Gefen said. A diamond on each finger and each earlobe, Sharon Gefen makes her way through the crowd. Right next to where Menachem cuts the stones, dealers from all over the world are exchanging prizes and stones on the trading floor. It’s a peculiar place: Men in shiny suits carry plastic trays from the cafeteria, while ladies with diamond necklaces drink coffee out of paper cups. Gefen points to the tables with names like Gross, Zvi, and Cohen. The industry is still dominated by Jewish family businesses, she explains. “The Jews who immigrated to Israel in the 1930s and after the war [World War II] were the first ones to import rough diamonds from Europe. There, the diamond trade was already a Jewish tradition,” she said. As far back as the Middle Ages, Jews began to work with gems, as they were not permitted to acquire land and to practice many other professions. “Also, it was an advantage to carry value with you all the time, especially if you have to run for your life or flee from a pogrom. For European Jews, it was a matter of survival to own diamonds,” she said. But these days, the industry is experiencing a decline in the Holy Land: In the first half of 2018, exports fell by 6 percent, marking the fourth consecutive first-half decline in polished exports in the country, according to Rapaport, a site dedicated to the diamond market. With e-commerce, digital currencies, and cutting-edge technology, Israeli companies try to keep their competitors in check, by moving their operations overseas as well. “You just can’t avoid producing abroad. Otherwise, you have no chance,” said Abraham Fluk, owner and founder of Yoshfe Diamonds International (YDI). The Fluks have been in business since 1942, starting in Netanya, a seaside resort 20 minutes north of Tel Aviv. Today, YDI has offices in Hong Kong, Tel Aviv, New York, and factories in India and China. “Around 30 to 50 percent of the diamond price is related to labor costs. So, it is worthwhile, that’s all I am saying,” said Fluk, while opening a two-meter (six-foot) metal safe storing precious stones of all colors and shapes. The black stones come from Russia, the brown ones were mined in Canada, and the pink ones in Australia. 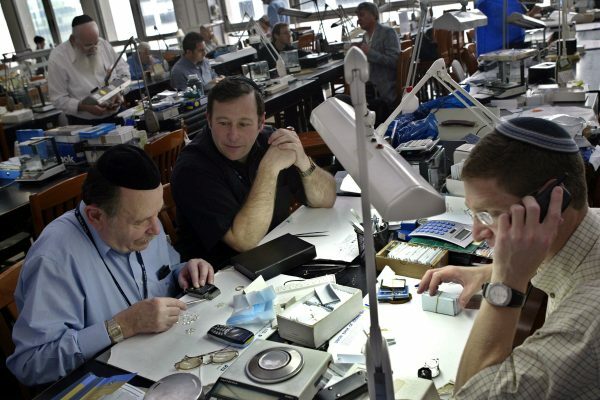 The Fluk family has it easier than most other Israeli diamond companies. As part of the South African De Beer Empire, they own an exclusive contract with a mine in Botswana in the south of Africa. In the last century, De Beers produced up to 90 percent of diamond jewels. However, that has changed as well. 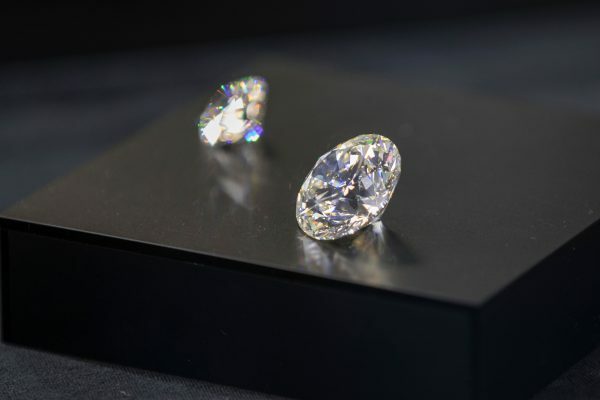 A number of international companies, including Alrosa, BHP Billiton, Harry Winston, and Rio Tinto have taken significant market share from De Beers. “The more the market opens up for new actors, the greater the risk that money launderers will abuse the trade, potentially requiring greater oversight of the industry,” reads a report by the Financial Action Task Force (FATF) from Paris. According to the intergovernmental organization, globalization of precious stone production has led to loopholes and uncertainties in the industry, requiring greater oversight. When the business was ruled mostly by Israel, Europe, and De Beers, there were strict regulations that prevented criminal activity such as so-called “blood diamonds” and money laundering. With smaller companies, new markets, and internet-based commerce, the business has become less transparent. Despite international efforts to crack down on illegal business practices, FATF reports a number of incidents of money laundering and false documentation, and new cases of illegal activity continue to come to light every day. In many of these cases, Israelis are involved as well.